Windows 8.1 Update 1 is here. If you haven’t heard anything about it, you must be living under a rock. After the failure of Windows 8.1 in the eyes of many consumers, Microsoft rushed to make some changes that will positively affect those dissatisfied with Windows 8 and 8.1. Windows 8.1 Update 1 is meant to make Windows 8.1 more user-friendly and bring back some missing functionality. If you’re thinking of avoiding this upgrade, Microsoft has warned users that they won’t be able to apply future updates until they do. This is one way to force users into using Windows 8.1 and wherever else the OS goes in the near future. 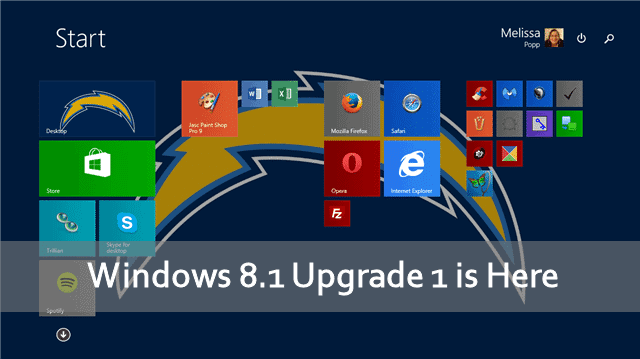 Let’s look at how to upgrade to Windows 8.1 Update 1 and how to troubleshoot any issues that come up during the process. As always, before any major Service Pack level upgrade to your OS, you should make sure to create a System Restore point before you upgrade. Ensure you have current backups of files and folders, either on removable media or the cloud. When you’re ready to upgrade, we always recommend hard wiring into your Internet connection (Use LAN,instead of WiFi) for the fastest possible download speeds so you can start using the Windows 8.1 Update 1 update as soon as technologically possible. There are two ways to upgrade to Windows 8.1 Update 1: You can do it through the Update & Recovery function in PC Settings or you can use the Windows Update tool. Either way gets the job done, here’s how to do it both ways. You’ll see a set of five updates related to the Windows 8.1 Update 1. 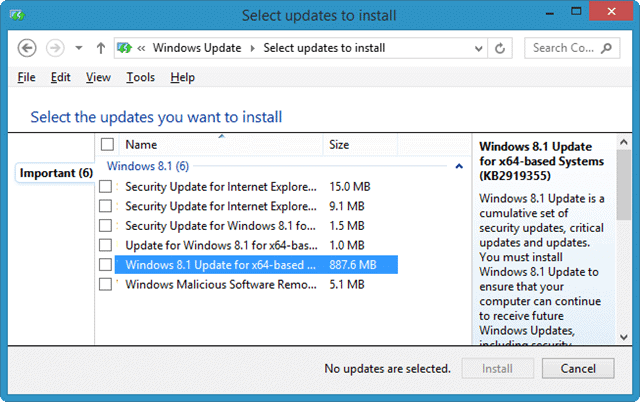 We recommend installing them one at a time, starting with update KB2919355 which is the bulk of the upgrade. 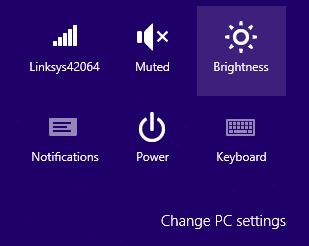 If you want to use the PC Settings route, use the “Windows Key + C” shortcut to open the Charms Bar. Scroll down to Update and Recovery and click on it. 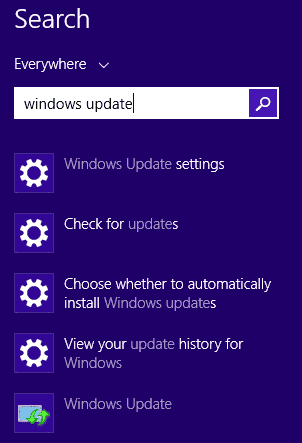 Now, for either method, you’ll follow the normal procedure for applying updates to your Windows PC. It will take anywhere from 15 minutes to more than an hour depending on what else you’re doing on the PC and what type of Internet connection you have. We recommend you close all windows and programs and just let the update progress without any interference. This is the quickest way to get the update to complete. After upgrading, you’ll need to restart your PC and apply the update. This can take another three to 15 minutes, again depending on your computer. Afterwards, log into Windows and run Windows Update once more. 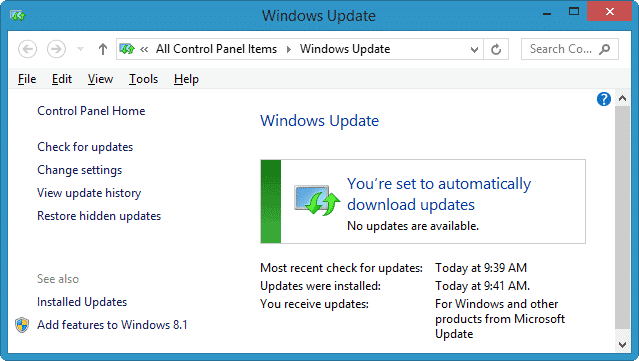 Download and install the accompanying updates to fully upgrade to Windows 8.1 Update 1. You will need to restart once more to finish the updates. Once that’s complete, you’ll have successfully upgraded to Windows 8.1 Update 1. Enjoy! 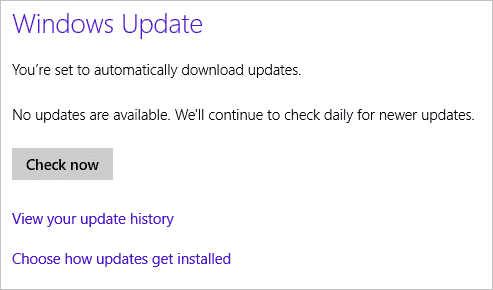 There are two main issues currently known about the Windows 8.1 Update 1: It doesn’t show up or it doesn’t download. Microsoft purposefully rolled out the upgrade across the globe at different times. If it hasn’t shown up for you yet, it’s possible it hasn’t been rolled out to your area. Keep trying every couple of hours until it arrives. As of now, it should have rolled out to most of the globe. If it still doesn’t appear, we recommend calling Microsoft with your product key available for them to see if there’s a reason why it’s not showing up for your particular PC. There has also been some debate among users that the upgrade showed up in the PC Settings area as opposed to the Windows Update Tool and vice versa. If it doesn’t show up for you one way, try the other and see if it’s available. This appears to be a glitch with the rollout of the update in some markets. If the update gets stuck while downloading with the Windows Update Tool or through PC settings, stop it and retry. You may have to do this several times. It took me about a dozen times before I could get it to start downloading. You’ll know if this method works, because it will immediately begin to download as opposed to hanging at 0%. This may take some time to get to work but eventually, it will. Keep in mind that millions of Windows users are trying to update their PC to Windows 8.1 Update 1. This can cause issues with connecting to the Windows servers responsible for getting you’re the update. If it’s not working for you, restart your PC, try again or walk away for a while before trying once more. So far, so good. Other than some minor troubles getting the upgrade to download in the first place, the process has been smooth for most consumers. The changes made to Windows 8.1 are a step in the right direction. It seems like Microsoft is finally starting to listen to consumer feedback on Windows 8 which is a good thing for those frustrated with using Microsoft’s flagship OS.